BabyFirstTV, which is aimed at children as young as 6 months, is expanding its programming. 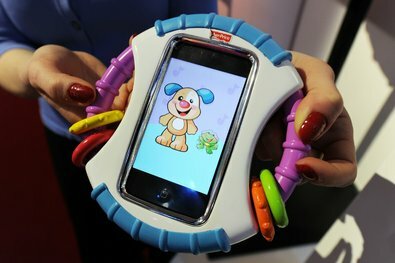 Toys that incorporate iPhones appear on the rise, along with apps geared at the diaper set. And moms and dads are freely handing their iPads over to their toddlers in order to finish that cup of coffee at Starbucks. Yet, the American Academy of Pediatrics stands firm in its belief that screen time for children under 2 years of age should be avoided. Are parents relying too much on technology to occupy their infants’ attention? This entry was posted in Gadgets, parenting and tagged BabyFirstTV by tablettoddlers. Bookmark the permalink.